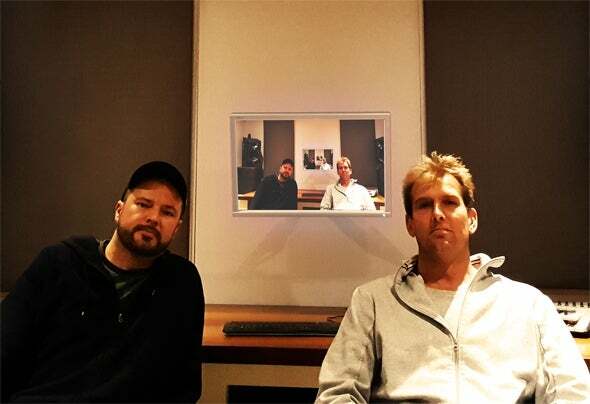 South African electronica pioneers, Jurgen Kuhnel and Carl Albrecht have a long history of collaboration, dating back to even before 1997, the year they founded the group "Mo-Fi Tuesday" in Cape Town. At a time when laptop muscians and DAWs were a thing of the future, Mo-Fi dragged their desktop PCs and CRT monitors to the club to present their own unique brand of electronic dance music to live audiences. Years later and after parting ways in 2000, their respective solo projects Fremen Production and ColonelJ have regrouped as FPXCJ. Fremen Production releases two albums, "Detach" and "Random Mutations" on Desert Planet Records bewteen 2007 and 2013, along with various Drum & Bass singles under the "C-Fremen" moniker, whereas ColonelJ specialized in studio engineering and released a collaborative album, "This Life" through Universal South Africa. Still heavily influenced by IDM's formative years, yet obsessively involved with the technological advancements made since then, FPXCJ are focussed on reving the optimism of 90's electronica and infusing it with as much new depth as their multithreaded CPUs will allow.